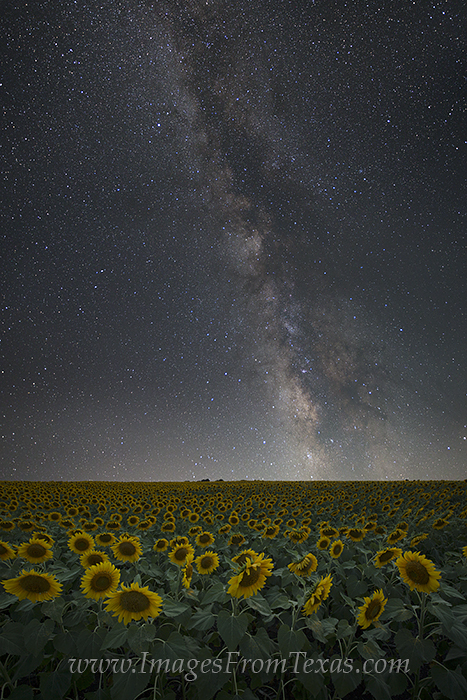 Under clear skies, this magnificient field of sunflowers enjoy the Milky Way as it moved across the heavens. This image is a composite of two images - one long exposure using an astrotrack to capture the stars; the second taken a little earlier while there was still light filtering through the field of Texas sunflowers. Photo © copyright by Rob Greebon.